For a childhood hero who rejects the path of hate and suffering, Luke Skywalker sure leaves behind a large bodycount. 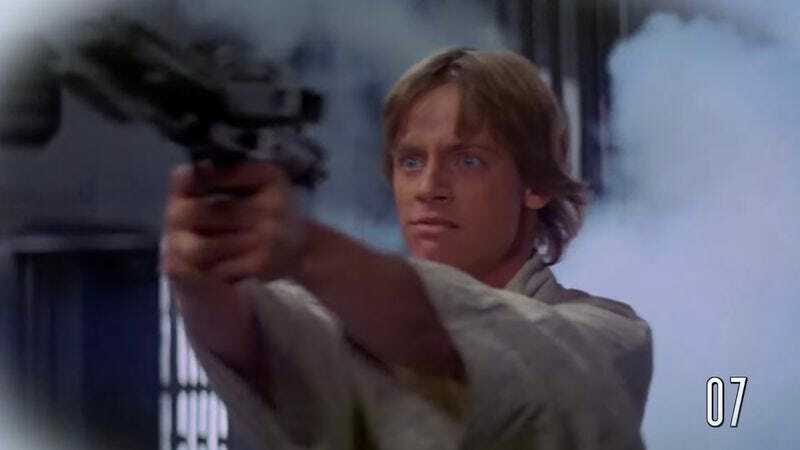 In this supercut, Mr Sunday Movies tallies up all of those unfortunate enough to have been cut down by the young Jedi knight. Granted, this just focuses on the original Star Wars trilogy, as he was only a baby in the prequels (one with murderous intent? perhaps) and fans still don’t know in what capacity he will serve in the newest films. It’s a surprisingly high number, with many of the corpses coming from the Battle Of Yavin/destruction of the Death Star in the first film and then Luke’s dispatching of AT-ATs in The Empire Strikes Back. Not included are the possible hundreds of womp rats the kill-crazy kid from Tatooine may have dispatched before reaping his bloody actions across the rest of the galaxy.